Bought direct from the maker Pete Stevens at his workshop in High Wycombe. I had wanted one of these ever since borrowing one in the mid 80’s. I had been looking out for one for a number of years only to discover that they rarely come up for sale on the used market. This is a standard Mach 1 Wal Custom, “Standard” includes the Famous Electric Wood pickups and electrics, shallow “V” neck profile and Jack & XLR balanced outputs. When I called Pete and explained my dilemma he was only too pleased to help out. Thanks Pete. 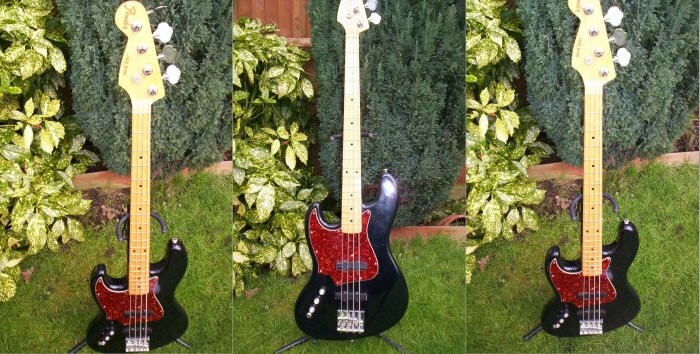 This is one of a pair of basses commissioned by a BBC session player and is fitted out with Fender hardware & single “J” pickup, Active/Passive switch & an ebony fretboard, the other, a 5 string fretless is currently residing in Bromley. 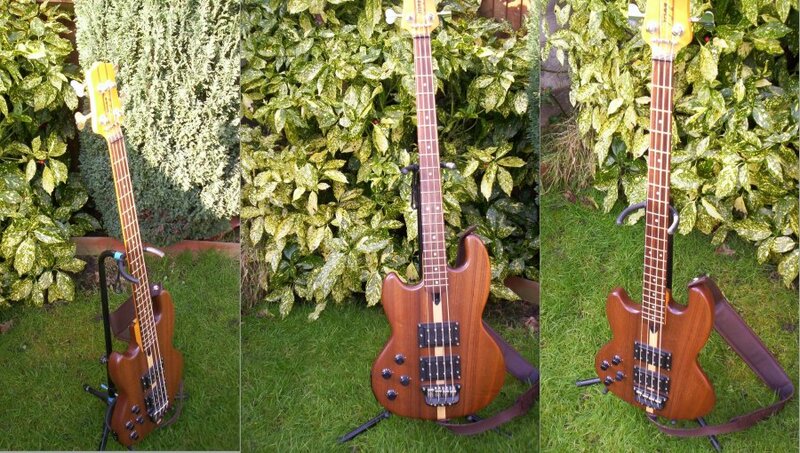 I only bought this bass due to work demands but it is a dream to play and sounds fantastic. 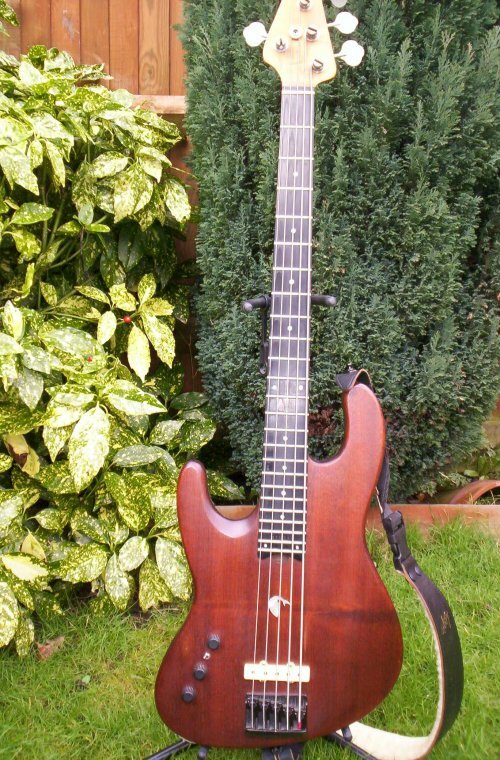 This started out as a standard fretted bass but has a great feel to it so I had an ebony fretless board put on it and a graphite nut, the “P” & “J” combination Pickups give a very wide range of sounds. This was my main instrument for over 9 years until I replaced it with the Wal Custom, it now stays in its case because I can’t bring myself to get rid of it This guitar started out as a standard Jazz style bass from Kent Armstrong but has had a couple of up grades over the years including EMG active pickups, BADASS Bridge & Bone nut. 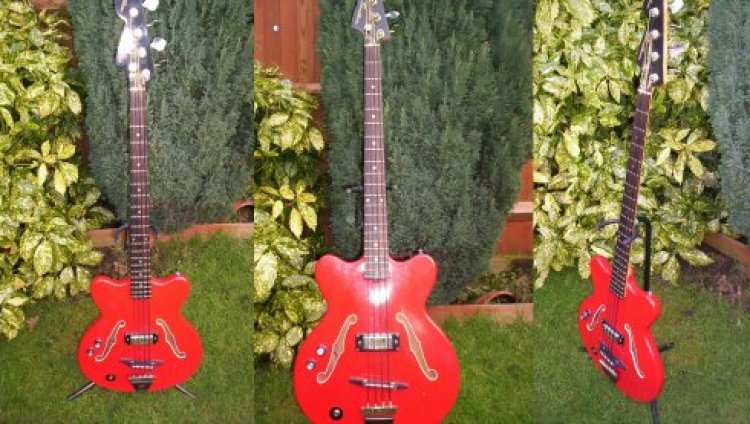 This is one of a pair (the other being a right handed 6 string guitar owned by long term partner in crime Alan Long) This started as a project after finding Hofner Verythin bodies and is based (Excuse the pun) on a Fender Coronado. It has a 35” scale length, a mini Humbucker pickup, black Teflon coated strings and is a complete pig to play (hence the name) but it looks sooooo cool. 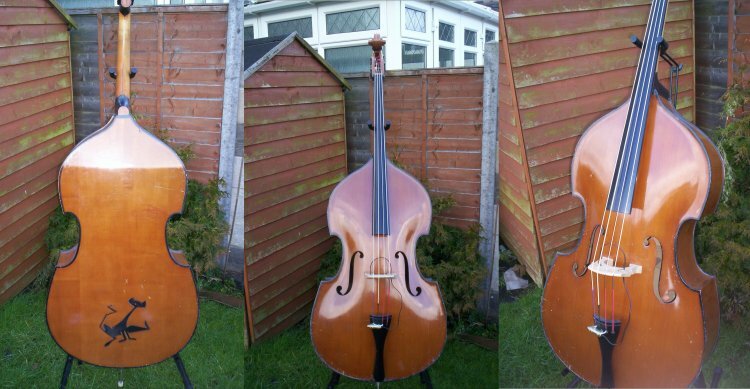 When you play an instrument that stands taller than you it’s like having another band member next to you so it deserves a name (that’s my excuse and I’m sticking to it) “Dolly” is a ¾ size double bass with an Ebony fingerboard and a swell back made in East Germany in the early 70’s, this one is all laminated wood with a lovely tiger stripe finish on the back and sides. 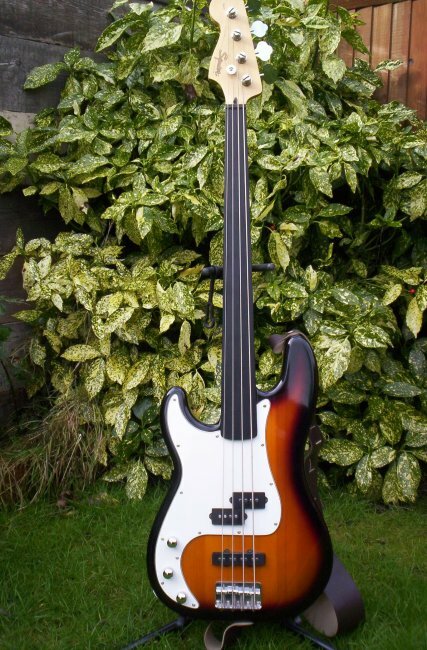 I string my double basses with nylon G & D Strings & steel A & E strings, I find that this combination allows for deep tones on the E & A and a warm soft tone on the higher D & G strings, this is only a preference as there are a number of string combinations preferred by different players. 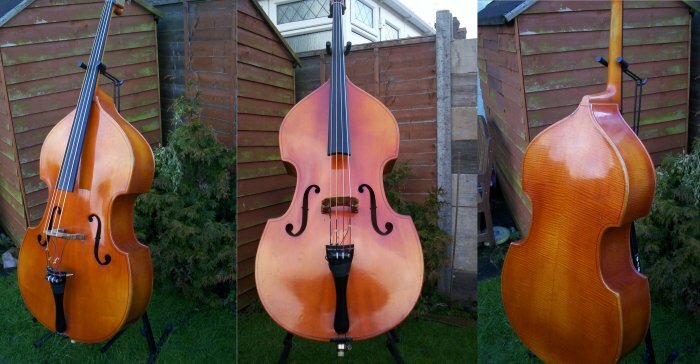 A Romanian ¾ size double bass from the late 50’s, this differs from Dolly as it is a flat back model with a solid wood top and the fingerboard has a bevelled edge under the “E” string (“G” string for all us “proper” left handed players) This bass has a lot of war wounds but was too good to let go to waste, to cover some of the scars I added some black piping and a picture of Bailey from Bailey’s Cat on the back.